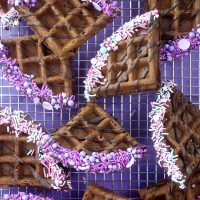 These pretty waffle wedges would certainly make breakfast better, but I like the idea of adding them to ice cream. 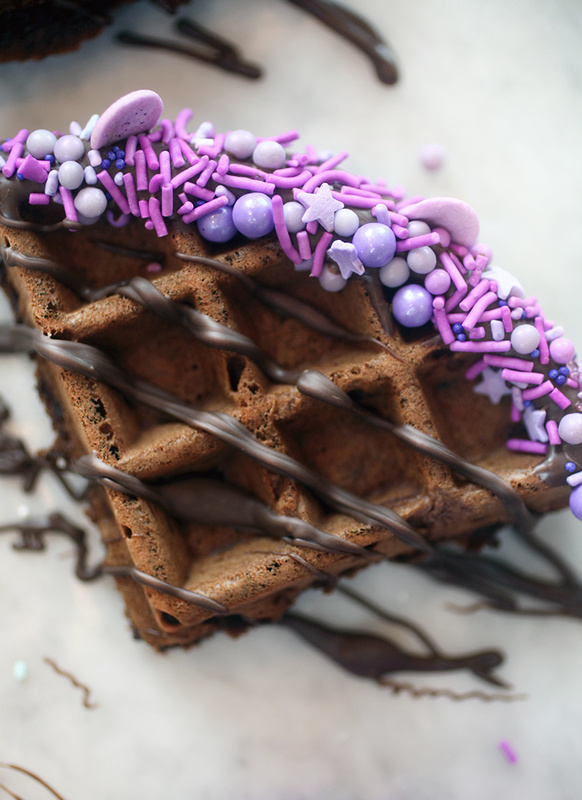 Chocolate waffles dipped and drizzled in melted chocolate and covered in pastel sprinkles. Perfect. 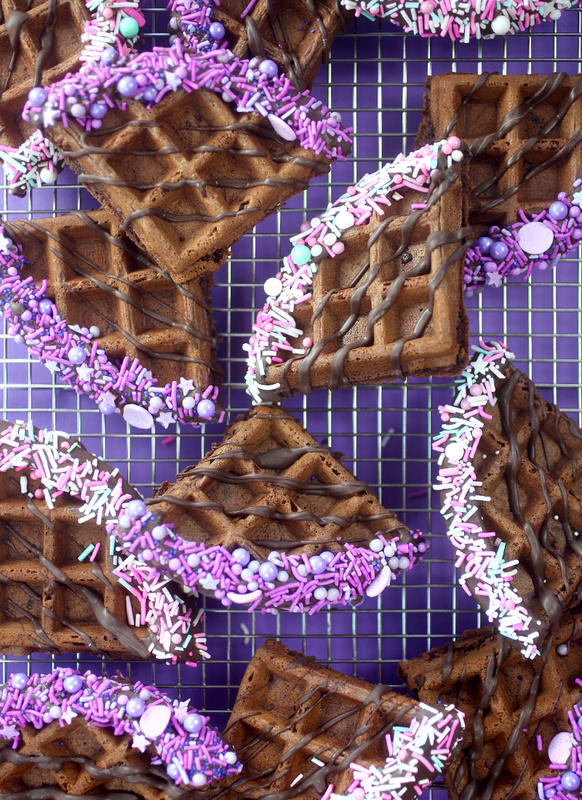 … and how it perfectly fills up the waffle shape with batter. You can get 6 waffles or 24 wedges from the recipe below. 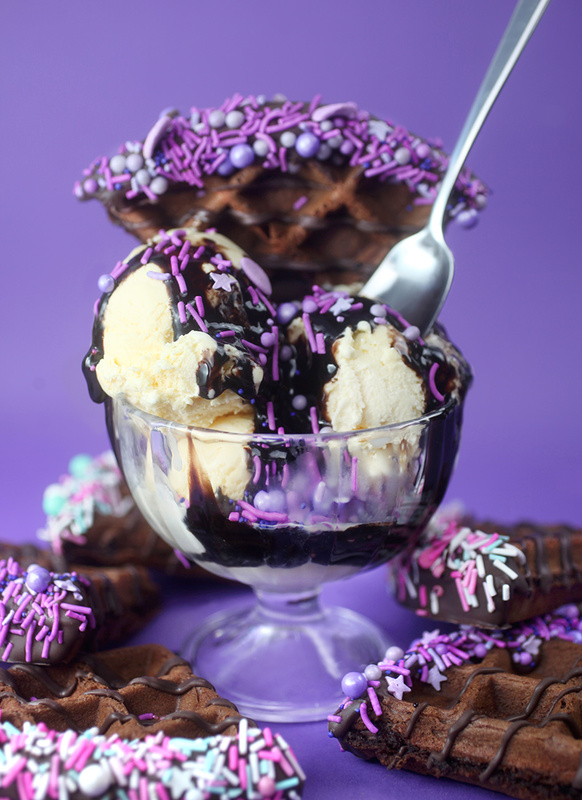 That’s a lot of ice cream sundaes, so feel free to freeze some or just enjoy them as straight up warm chocolate waffles. 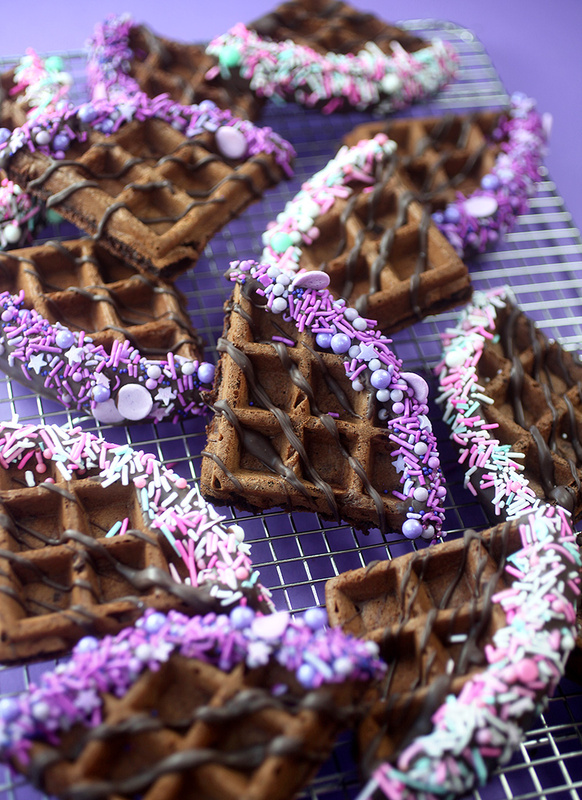 To decorate wedges, melt chocolate candy coating in a small bowl and dip the round waffle edges in. I used these gloriously beautiful sprinkles from my friend Sweetapolita  to dress them up. 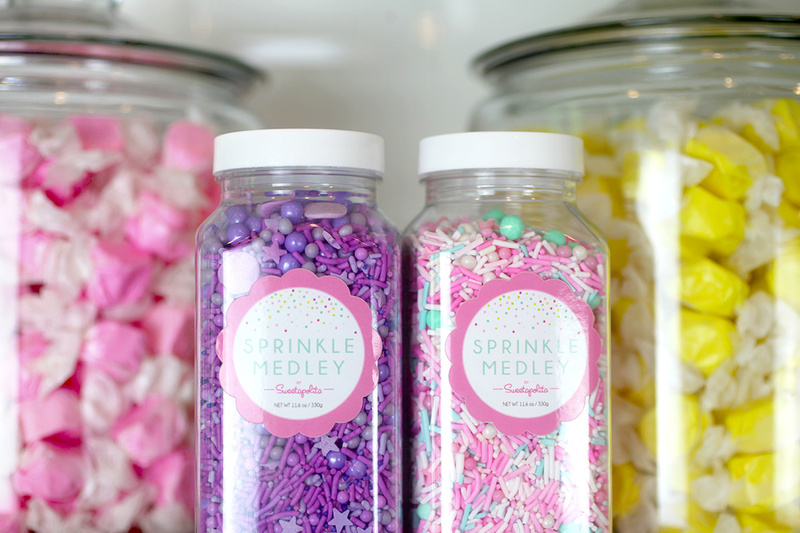 If you haven’t stumbled on her sprinkle shop  yet, hop on over to see all the amazing color combinations she has. It’s a very happy place. Before the chocolate melts, cover the edges with sprinkles. Sprinkle them over a large bowl so you can reuse any leftover. 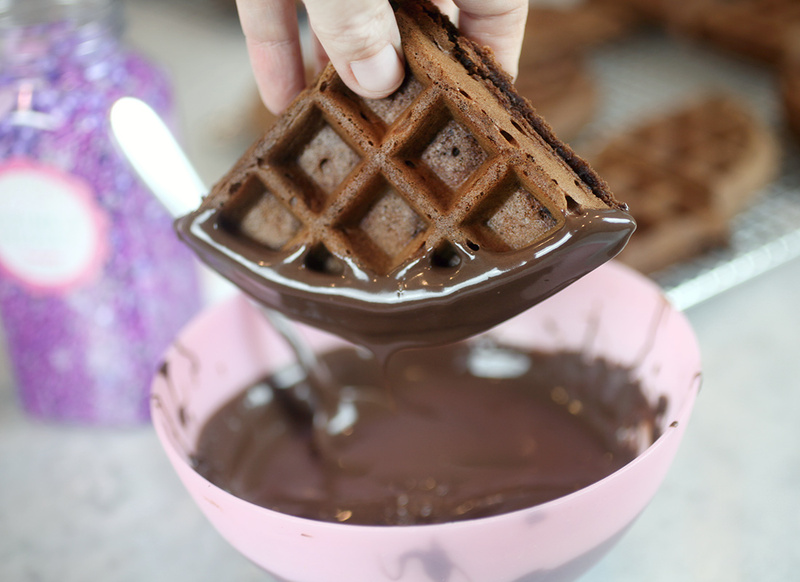 Lay waffle wedge on a wax paper covered surface and drizzle with more chocolate. Let dry and they’re ready for their close up. Pretty in pink and purple. And prettier as a backdrop for an ice cream sundae. All the yeses!!! 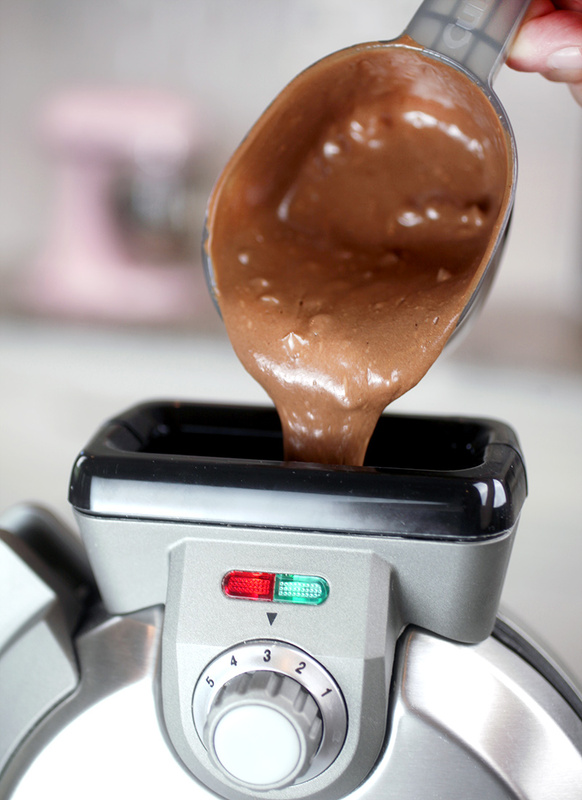 In another large bowl, whisk the liquid ingredients together until combined. Add to the dry ingredients and whisk until smooth. Preheat waffle maker to desired setting and when ready, pour a scant cup of batter into the spout (if using a model like mine) or on the waffle maker grid and bake until tone sounds and the waffle is done. 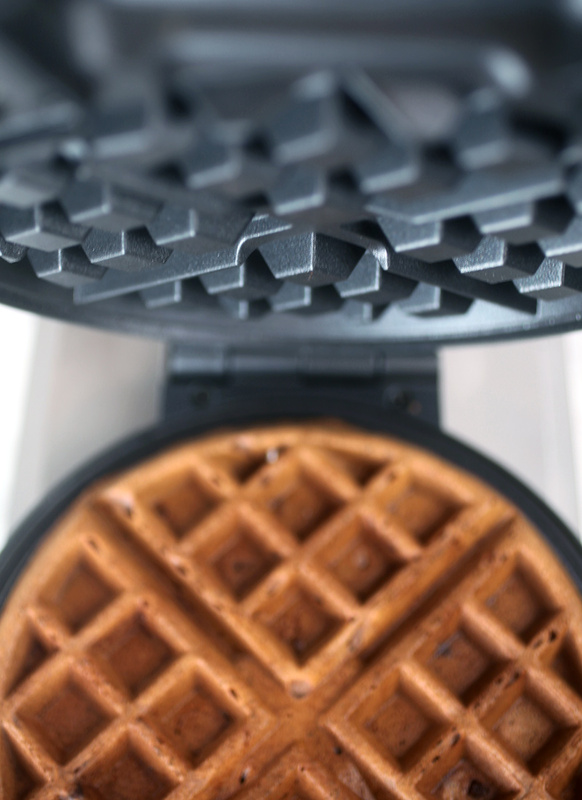 Remove waffle and repeat with remaining batter. 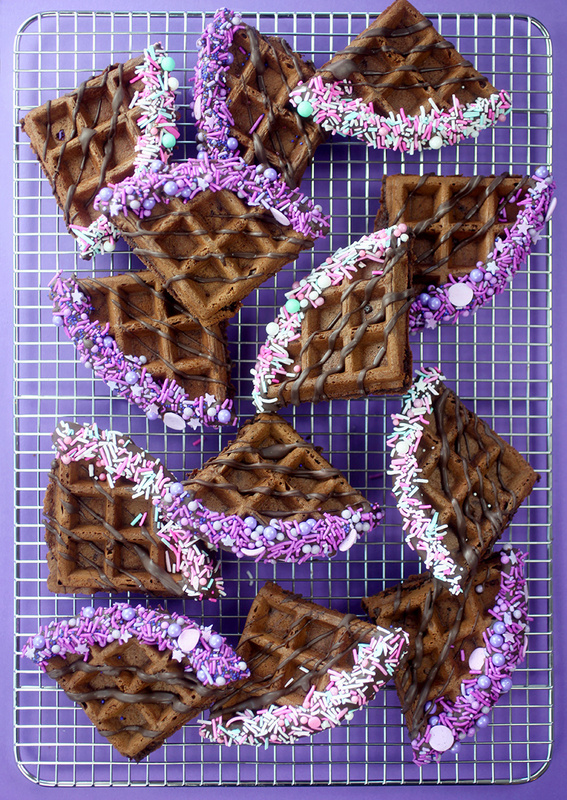 Do decorate: Cut each waffle into four wedges. Dip the round edge into melted candy coating and top with your favorite sprinkles. Place on a wax paper covered surface and drizzle with more melted chocolate candy coating. Let sit until dry. Serve as is or use them to accessorize ice cream sundaes. 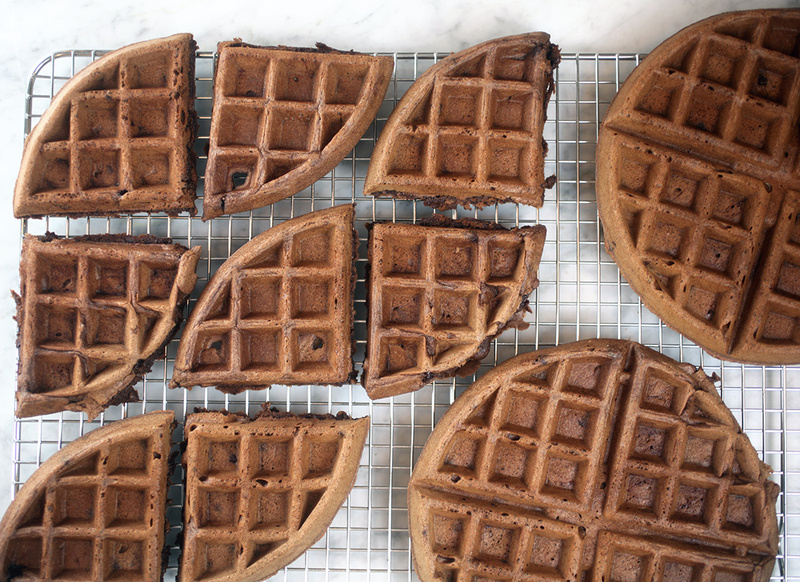 Recipe from Cuisinart Vertical Waffle Maker Booklet.